It has been a busy month. First I was on holiday for 2 weeks, one week at my parents in Scotland and the 2nd I was on the Isle of Arran for the Camb-Hams 2011 DX’Pedition. The DX’Pedition was sponsorship by Kenwood UK, Icom UK and Linear Amp UK. 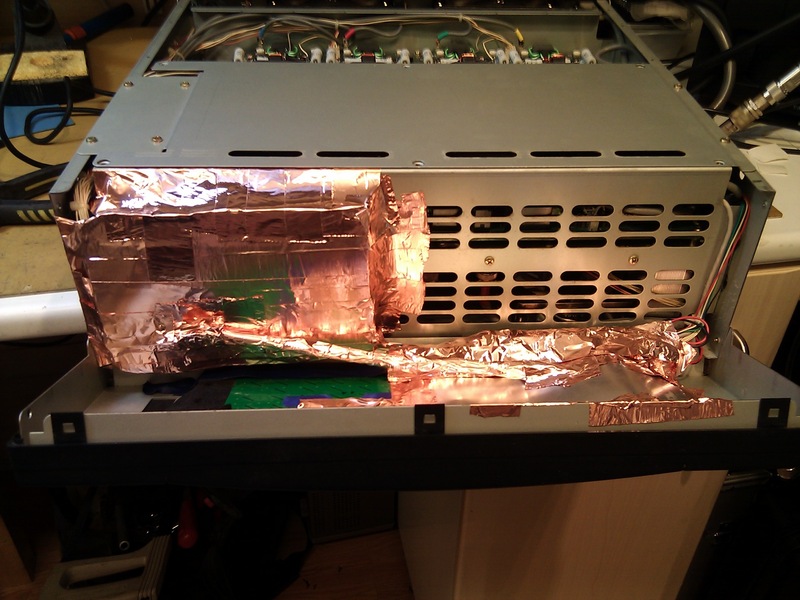 The latter provided us with an HF amp (Challenger) and a 6m/4m (Discovery 64) amp. On the DX’Pedition we planned to make about 4000 QSOs in the week, this is about what we have managed to do in previous weeks on our DX’Peditions. So when we managed 4000 after 4 days we thought maybe we will manage 6000, in the end we managed 9100 QSOs!!! At times we were on 6 bands running simultaneously and most of the time no less than 3. We also managed to get out on the 2m RSGB UKAC where we managed 49 QSOs and 16 squares. The only thing which broke was the motor driving the elevation rotator as the controller has a mind of it’s own, somehow faulty, and now and then enables (and sticks on) one direction, in this case UP and we only noticed after 15 minutes of the motor trying to drive the rotator after it had hit the mechanical end-stop. This is now fixed as I had a spare motor at home. It was the second year we have borrowed the Discovery 64 and since last year I have been thinking about a 6m amp for the shack. I didn’t want to get an amp which only covered 6m though, mainly for space, and I wasn’t compelled to buy an HF amp either so I didn’t bother buying anything. This year however with having 3 HF amps on the DX’Pedition I was sold on getting an HF amp, even conservatively running them at 300w, a 4.8dB increase on the 100w the radio produces, yielded a much higher QSO rate and allowed us to keep our frequency on a crowded band. So now I was sold on the virtues of an amplifier for 6m and HF I needed to find one which done both. As luck would have it Martin Lynch and Sons, a large UK ham radio supplier, had just added a Yaesu VL-1000 Quadra to their second hand section a few days before I decided I wanted it.